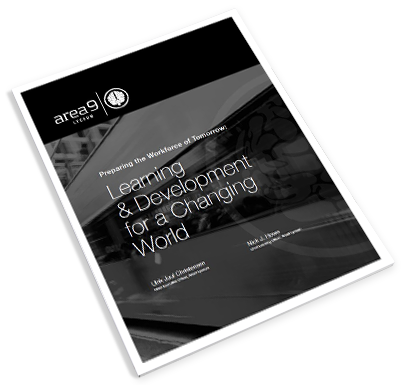 Area9 Lyceum’s adaptive technology provides wide-ranging benefits across every industry. Here are a few specific sectors that are especially well suited to the adaptive learning approach. We bring software, workflows and expertise in learning pedagogy to help organizations across the education sector organize and develop market-leading learning content and experiences. Founded more than 20 years ago by physicians, we understand the needs of healthcare professionals. From putting safety first to improving customer operations, adaptive learning is well-suited for every aspect of the aviation industry. From the shortage of pilots to building expertise in tactics and sophistication of equipment – deploy adaptive learning for military readiness. From technician to dealer sales, where technology evolves quickly, employees need training to achieve success. Solve automotive skills shortages efficiently and effectively. Pressure on workers in the energy sector has never been greater. In downturns and upswings, productivity matters. Educate and engage your food production employees and improve the performance of your organization. From the factory floor to global commerce, adaptive learning drives performance. Focus on customer service, compliance legislation, or virtually any type of training that makes your business unique. Provide your staff with the latest product updates, procedures, sales techniques and more in half the time. “As we continue to grow, we want our employees to fully understand our commitment to world-class manufacturing jobs and products that are built to last. The more ways we can effectively tell our story, the better the experience our customer has with our brand."